Above ground pool liners which type do I need beaded or overlap? There are two types of above ground swimming pool liners, overlap and beaded. Most above ground swimming pool liners are "overlap", these are found on brands like Doughboy pools for example. Overlap liners overlap the wall of the pool and are held in place with liner clips. Beaded liners have a cord that goes around the top of the liner and in turn threads into a channel around the top edge of the swimming pool. 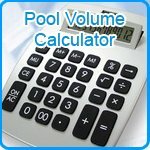 Around 90% of pools with beaded liners have the same system however Paramount pools had a range of beaded liner swimming pools that had their own unique liner, these beaded pool liners are not compatible with one another. If in doubt we suggest you call, or contact by live chat or email.